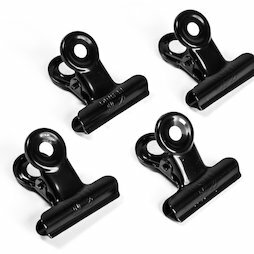 Small, discreet black metal clasps with a strong magnet on the backside. A single magnetic clasp holds several notes, individual photos or even a small brochure on many magnetic surfaces. And if the clasp starts to slide down, just support it with a second one.